This weekend I have been thinking quite a lot about what the world is gonna look like on Monday, and have come to the conclusion that it won't be that different from the way it was last Friday. The big news surprise of the weekend was in fact Greece related - since the national football team qualified for the quarter finals of the Eurocopa, beating the Russia by a resounding 1-0. Oh yes, they also had elections in Greece, didn't they? The most likely outcome, as far as I can see at the time of writing, is a neck and neck finish between the far left Syriza and the centre right New Democracy, with the key to the resolution of the outcome lying in the fact that whichever party comes first gets a bonus of an additional 50 seats. This will mean that if New Democracy do win, as it seems they have, they will probably be able to negotiate a deal with the other smaller parties (PASOK, for example) around some sort of face saving formula which will enable a government to be formed and a deal struck with Berlin. On the other hand, if Syriza were to finally win no one has a clue what will happen. The party doesn't want to leave the Euro, but does want to reject the memorandum. The only problem is that the only parties Syriza could form a government with would most likely want out of the Euro too. So Syriza winning by a short head would seem to imply more elections, or... or.... some sort of pact. I vote for the latter. I say this since I think even if Syriza were by some quirk now to win some sort of government or other would still be formed, even if it needs the military to rustle sabres in the background just to get everyone to concentrate on the issues in hand. In the game of brinksmanship which will now be played, Syriza can blackmail Berlin with the threat of instability and disorderly exit (even in opposition), while Berlin can dangle money, lot's of it I imagine, before their eyes, if only they agree to help form a government. The track record says that politicians normally, when faced with a serious punch up or going for the money will normally go for the money. Naturally, the money I am talking here about involves EU funds, not men in black suits carrying suitcases, although if the recent 270 million fine accepted by Siemens for bribing Greek officials to obtain lucrative telecommunication contracts is anything to go by, we shouldn't rule the other possibility out entirely. Actually Angela Merkel has already hinted at this sort of solution. "This is why it is so important that, in the Greek election tomorrow ... a result emerges in which those who form a government in future tell us, yes, we want to keep to the agreements," she told a meeting of party faithful in Darmstadt this weekend, "This is the basis on which Europe can prosper." What the forthcoming Greek government needs to do, then, is say loudly and clearly in public that it will stick to the memorandum. Say in public mind you, not necessarily follow the statement through in practice. The phrase being asked for certainly isn't an Austinian performative, equivalent to saying "I do" in a wedding. In this case uttering the phrase does not constitute implementation. Another example of something which also does not constitute what the British philosopher JL Austin would have termed a performative would be the expression “I promise to pay the bearer on demand the sum of …” which appears on the back of UK bank notes, and is evidently not a promise, or even a lick. It is simply just another way of spilling ink. So then, with the protocols safely out of the way, the real deal can be done. Francois Hollande is already talking about an EU growth programme of around 120 billion Euros. And the Financial Times has revealed this weekend that, "European officials are preparing to dangle a package of incentives in front of a new Greek government to convince it to stick to the country’s current bailout deal after Sunday’s high-stakes elections. The package would include further reductions in interest rates and extended repayment periods for bailout loans, as well as EU money to spur investments in Greek public works programmes through the European Investment Bank". 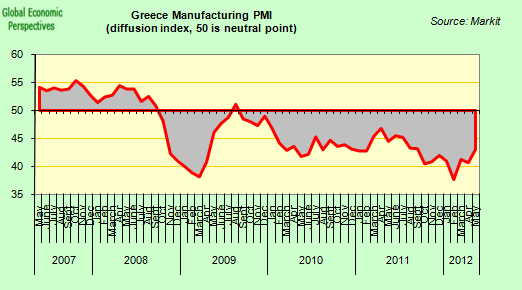 Naturally, and even in the best of cases, the future government of Greece will be weak, and the economic situation dire. So the agreement to be reached will only be a band aid, one which one hopes will hold until the bigger issues are faced up to over the summer. All that has been avoided this weekend is a disorderly rupture in Greece's relations with the EU and the IMF, and as I argued here, this outcome was never really very likely. So Greece in the short term will be staying in the Euro, although I am not sure whether a majority of observers will necessarily regard this as good news, since clearly it only postpones some sort of day of reckoning or other. One venue where people will be unequivocally happy with the outcome is - although some may find this surprising - inside policy circles in Berlin. The reason for this is evident. Germany itself is at greater risk of fall out from the Greek election than even Greece itself is. Personally I think the upward trickle in German Bund yields we have been seeing over the last week or so is pretty significant. 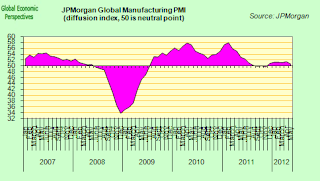 It is almost as if the market is beginning to prepare for a two stage scenario. The first stage would be Greek non exit. Then in a second stage, the EU would not be moving ahead of the curve fast enough, and the common curreny could disintegrate. Germany, as the creditor country who would not be paid, would be one of the biggest losers. More interesting perhaps than 10 year Spanish yields hovering around 7% is the fact that German yields have also started rising, as have German CDS and the volume of German CDS being traded. My interpretation of this is as follows. This situation can end in either of two ways. The Euro can disintegrate, or full political union can be put in place. In either case Germany's debt burden will increase. In addition the country is export dependent, and will be negatively effected by any event which damages the other Euro economies. Robin Wrigglesworth put it like this in the Financial Times. 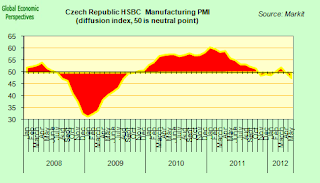 Analysts said this was a worrying development, which indicated investors could be starting to prepare for two “tail-risks” – a break-up of the common currency bloc or moves towards fiscal union.“If we see a trend of periphery bonds, Bunds and the euro start to sell off simultaneously we’d move from concern to alarm,” said David Lloyd, head of institutional portfolio management at M&G Investments. There are three main sources of Troika exposure to Greece, bailout loans, sovereign bonds owned by the ECB, and liquidity provided to the Greek central bank thorugh the Eurosystem via what is known as Target2. According to estimates by Commerzbank analyst Christoph Weil, between loans and bond purchases Greece owes a total of €194bn, which breaks down into €22bn owed to the IMF, €53bn to Euro Area countries, €74bn to the EFSF and €45bn to the ECB. On top of this there are Target2 liabilities of the Greek central bank vis-à-vis the ECB - and indirectly to the German banks - to the tune of €104bn. It was in fact former Citigroup chief Charles Prince who used this expression to characterise why, in a highly leveraged bailout (sorry, buyout) market fund managers continued to play the game, but it could equally well describe the "in for a penny in for every shilling I've got" situation German policymakers now find themselves in. One of the silliest ideas introduced into the present Euro debate is the idea that Germany has always been a reluctant party to the common currency, and that the monetary union has acted to the country's disadvantage. Lombard’s Chief Economist Alexander Dumas tells us, for example, that ‘what you’re actually dealing with here... is a German population which has had a rotten deal – and that’s why they’re all so angry’. Dumas's view is interesting since it highlights two popular misconceptions. The first of these is that Germany has been a long suffering victim of the spendthrift policy of its Euro Area partners, and the second is that German household consumption is so weak due to a domestic policy of wage compression. 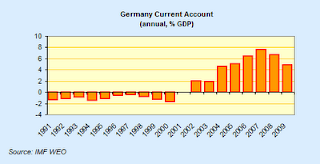 Now if we take the former argument, in fact the German economy entered the common currency in very poor shape, on the back of mid 1990s credit and construction boom, and was forced to make a substantial transition at the end from being a consumer-credit- driven economy running a small current account deficit to being an export driven one, pushed forward on the back of a large current account surplus. If you look at the above chart, it would seem hard to argue that Germany has had a really hard time of it after joining the Euro. Just think about it. Who was buying all those German exports which are reflected in those massive current account surpluses. This point seems so obvious it is hard to believe some people are still capable of ignoring it. It is not as if there wasn't a lot of material around pointing to this pretty evident truth. A good example of this work are the two recent and highly stimulating essays by Citi economists, Nathan Sheets and Robert Sockin, who convincingly argue that German trade performance since the start of monetary union has been significantly boosted by having a currency which was valued significantly below the valuation it would have been subjected to had the country still been using the Deutsche Mark. As a result of this systematic undervaluation Germany’s external surpluses widened significantly, led by rapid export growth. Sheets and Sockin use a simple econometric procedure to estimate that that European monetary union, coupled with the country’s extraordinary wage restraint, has resulted in a real effective exchange rate for Germany that is currently 15 to 20 percent lower than the one which would have prevailed if Germany had had its own floating currency. And naturally the weaker real exchange rate has provided a significant windfall for Germany’s export sector. They thus find that the lower German real exchange rate has lifted the country’s nominal trade surplus by roughly 4 percent of GDP (or €100 billion) annually and the real trade surplus by about 3 percent of GDP annually. 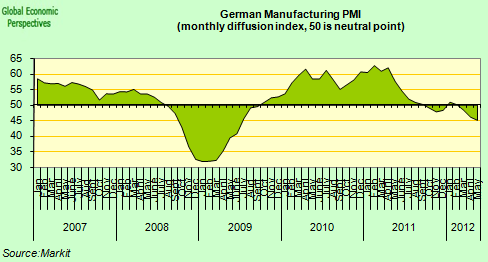 In addition, since the outbreak of the Greek crisis, Euro weakness has meant that German exports have been in an almost uniquely privileged position to benefit from strengthening global demand in the emerging market economies. 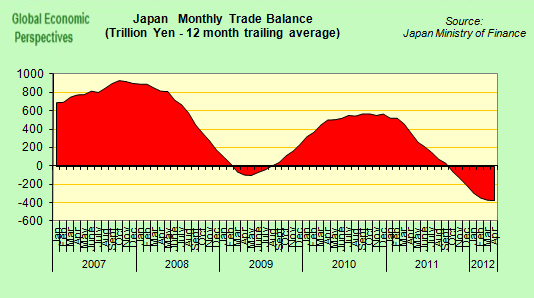 The comparison with Japan is significant in this case, since as of December 2011, Japanese exports were still running at 8% below their pre-crisis high point, while German exports were about 7% above their pre-crisis high. Since the global financial crisis German exports to China have risen most strongly, while Japanese exports to China have virtually stagnated. What could be the explanation for this strange phenomenon, since evidently Japan has efficiently produced technologically-advanced products to sell? Well, the relative values of the two currencies the countries use might offer us some part of the explanation. 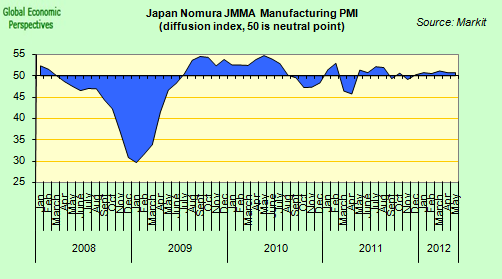 From the start of 2007 to mid 2008, the Japanese yen was trading in the range of 0.06 – 0.065 to the Euro. At the start of 2012 it was trading at all time record levels of just over 0.1 to the Euro – that is the yen rose versus the Euro by over 60% in just three and a half years. What German policy makers might with good reason worry is that should their country go back to the Deutsche Mark a similar fate might well await them. Naturally in June 2008 Japan’s currency was significantly under-valued, due to its habitual use as the “carry” funding currency of preference, while Germany’s currency is currently significantly under-valued (due to the impact of the sovereign debt crisis). 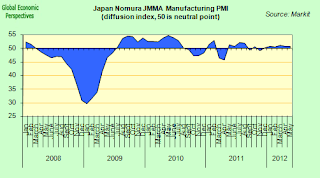 In July 2008 Japan’s currency valuation spiked dramatically – rising by around 30% in 3 months – as the global financial crisis took its toll and the carry trade unwound. Since that time Japan’s currency has risen steadily (as has, for example the Swiss Franc) due to the country’s safe haven status. 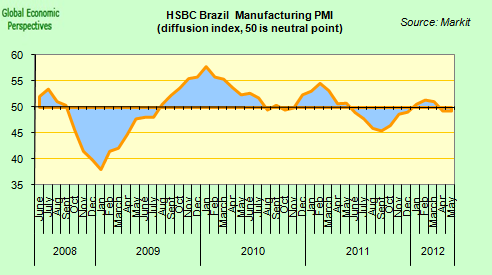 Naturally such a state of affairs only serves to exacerbate the country’s long running deflation problem. Taking everything into account, surely it would not be unreasonable to suggest that a Euro unwind would lead any new German currency to surge dramatically in the aftermath just as the Japanese one did in 2008, and then continue its upward path for safe haven reasons. The key point is that in the age of the global financial accelerator currency movements have a strong non-linear component. I suspect events will pan out as follows. The Greek elections will give markets a mildly positive surprise, since the country will not immediately exit the Euro, nor will European money be cut off (the IMF is another matter). In fact, as I suggest above, more money may be sent to Greece than expected via EU structural funds, or the EU investment bank. In the meantime measures will be put in place in the direction of a European banking system and closer fiscal union. But the pace will be slow, painfully slow, and much slower than markets need to see to be convinced that real changes are coming. 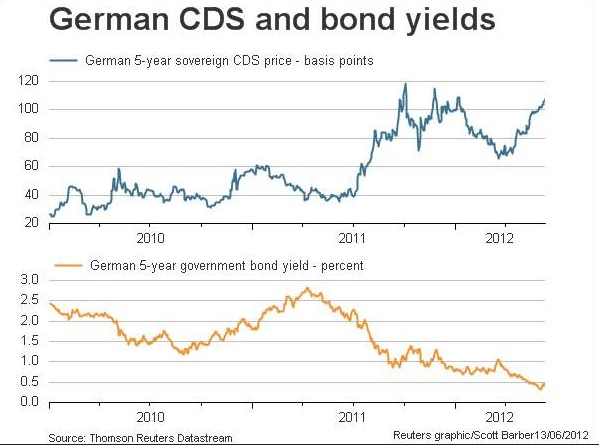 So German bond yields and CDS can continue to rise, and this will produce political strains in Germany. It is these tensions inside Germany that can become the undoing of the Euro, since if political pressures cause leaders to put a break on the integration process market pressures could become too great to withstand. Thus the reason for this sudden rush to keep the Greeks happy is evident. Germany has done its sums, and found that it is at even greater risk of getting hit by fall-out from the Greek election than Greece itself is. The thing is the Germans have now cunningly boxed themselves into a corner, and whichever way things go their position can only become worse. I think German policy from this point on will be increasingly dictated by a belated attempt to avoid just this sort of outcome, and that we will see evidence of this over the next couple of weeks. Far from being a threat, Francoise Hollande might even help get Merkel off the hook. On the other hand, Fernando Santos, the Portuguese coach who trains Greek national side, reportedly told the press his players' victory was more inspired by Greek history than by Angela Merkel. Well if I remember my Thucydides aright, most Greek cities fell to their opponents not in pitched battle, but via "informal negotiations" held somewhere close to an unguarded side gate. Talks to form a new government will start tomorrow. I guess we will never know whether or not Mariano Rajoy uttered the two magic words so effectively immortalized in song by Fontella Bass that Saturday afternoon in late May as he cruised down the Chicago River in what Spanish media called a "Love Boat" ride, but one thing certainly is now clear, Angela Merkel has finally and definitively accepted Spain into the German embrace. Whether it will be a tender and loving one remains to be seen. What is obviously true is that Spain is in trouble, and needs help. 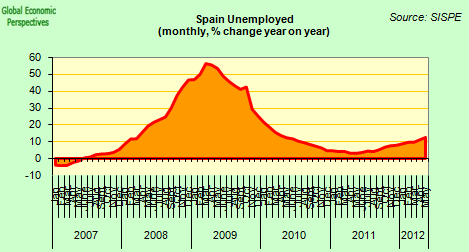 Five years after the Global Financial Crisis broke out unemployment is at 25% of the labour force (and rising), house prices continue to fall, non performing loans continue to rise in the banking sector, bank credit to the private sector is falling, and, as Finance Minister Cristobal Montoro said two weeks ago, the sovereign is having increasing difficult financing itself. Hence the bank bailout. 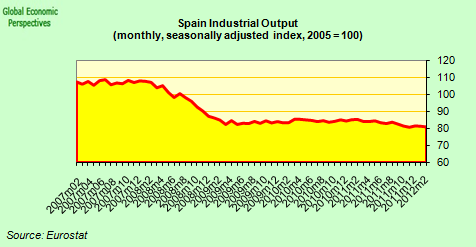 On top of which Spain's economy is once more in recession, a recession which will last at least to the middle of 2013, even on the most optimistic forecasts, and is in danger of falling into the dynamic which has so clearly gripped Greece, whereby one austerity measure is piled onto another in such a way that the economy falls onto an unstable downward path, as austerity feeds yet more austerity. Spains citizens are naturally nervous, anxious and increasingly afraid. 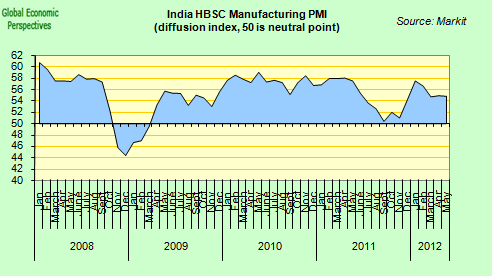 Hardly a dynamic which is likely to generate the kind of confidence which is needed for recovery to take root. Advocates of the proposed Euro Area debt redemption fund - which would pool all government debt over the 60% of GDP permitted under Maastricht - do so using the argument that we should treat the first ten years of the common currency's existence as a "learning experience". Fine, but what exactly have we learnt? Surely almost everyone who has read at least one article on the Spanish crisis now knows that the issue in Spain is private not public debt. But just how did countries like Spain and Ireland accumulate all this debt? 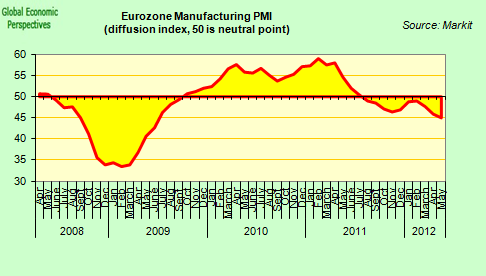 Well one thing should be clear by now, part of the responsibility for the situation lies with the ECB who applied (as they had to) a single size monetary policy even though this was clearly going to blow bubbles in the structurally higher inflation economies. And so it was, Spain had negative interest rates applied all through the critical years, and now we have the mess we have. Back in 2006 inspectors at the Bank of Spain sent a letter to Economy Minister Pedro Solbes complaining of the relaxed attitude of the then governor, Jaime Caruana (the man who is now at the BIS, working on the Basle III rules) in the face of what they were absolutely convinced was a massive property bubble. Their warning was ignored. What could have been done, many say. Well, at least two very simple things could have been done, and well before things got out of hand - on the one hand apply much stricter loan to value and income documentation rules which offering a much higher proportion of fixed interest rate loans (quotas could have been applied), and on the other insist the Spanish government run a much higher level of fiscal surplus to drain demand from the overheating economy. Of course, the politicians were not interested in hearing about any of this, since as measures they would have been highly unpopular, but where were M Trichet and his colleagues? 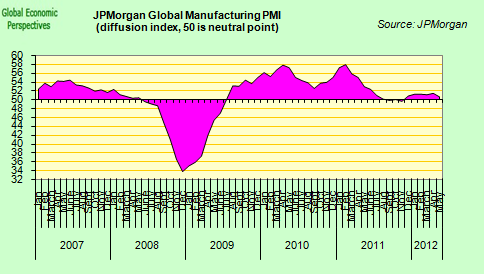 They were too busy presenting Euro Area aggregate data to be willing to warn about growing imbalances between the individual economies. Now of course, the imbalances are undeniable, and the ECB is having to implement an asymmetric set of collateral rules (among other things) to try to counteract their impact. Internal demand in Spain is imploding. This is not surprising, with household debt just under 90% of GDP and private corporate around 120%, it is clear that both sectors badly need to deleverage. Classically the way to do this is by devaluing and boosting exports to sustain growth. 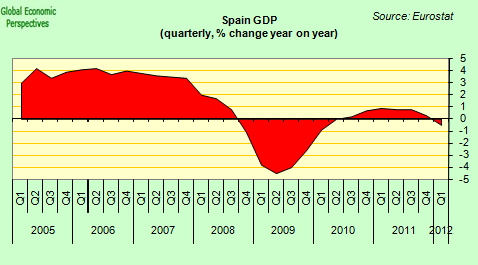 But Spain is in the Euro, and has no money of its own to devalue. The common currency makes it very easy to generate distortions, and much harder to correct them. In that sense it is systemically biased towards negative outcomes, something the founders of monetary union didn't give enough thought to. 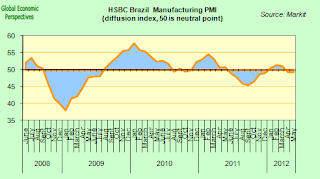 The key institutional stabilisers - a common banking system, a common treasury, and a central bank capable of targeting interest rates on all the participating sovereigns - weren't in place from the start, and even now are considered controversial, so the constituent economies have a lopsided tendency to veer either one way or the other. 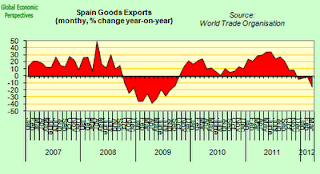 Spain's export companies have put in a heroic effort since the crisis began, and export levels have well surpassed their pre crisis peak. The problem is simply that, after years of neglect, the sector is now just too small to do the job which is being asked of it. 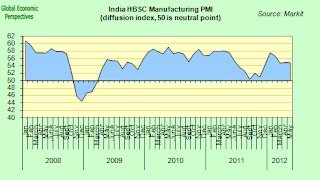 Exports surge, even while the economy does not. 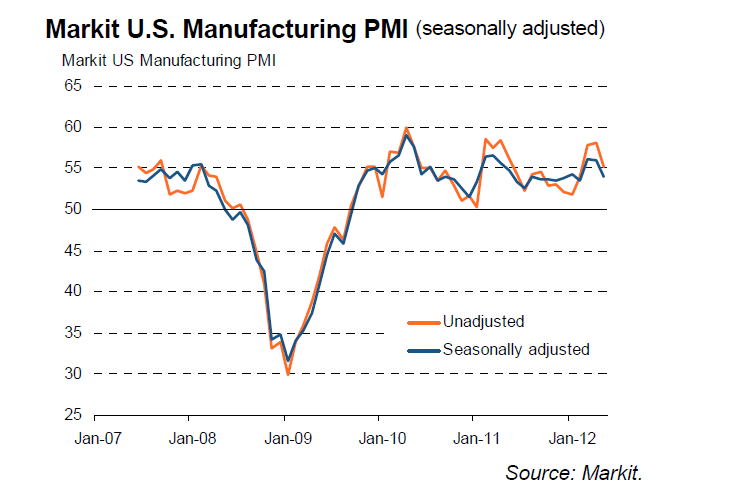 A very different state of affairs from that seen in Germany, where a revival in exports leads to strong growth. 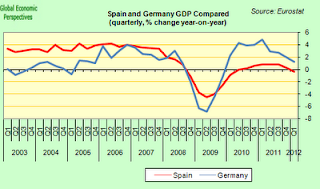 Advocates of the "competitiveness" of Spain's economy should ask themselves "why the difference?". Another interesting comparison comes from a nice measure of capital goods investment - spending on machinery and equipment. 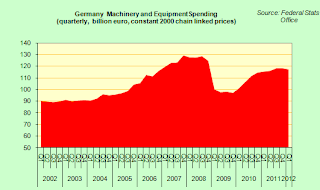 In the German case such spending recovered sharply after the crisis, even if it has recently tailed off again as the global economy has steadily slowed. 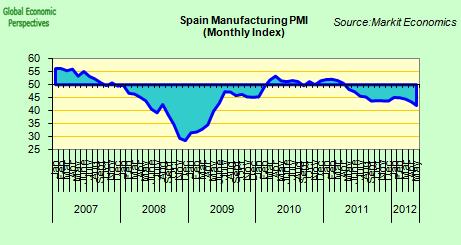 In the Spanish case however, the recovery was muted, soon ground to a halt, and then tapered off again. That's what competitiveness means, ability to sell in sufficient quantities in global markets. Germany has it, Spain doesn't, and all the rest is simple pedantic casuistry. 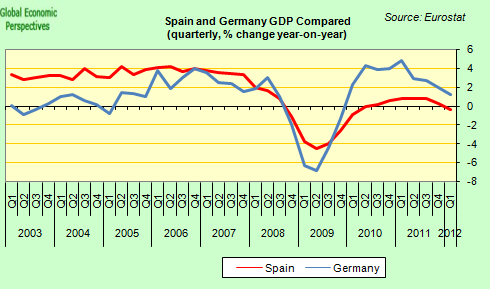 Or ask yourself, why is Germany bailing out Spain, and not vice-verse? Come on! Naturally in this environment it is not difficult to understand that people are having difficulty paying their bills. 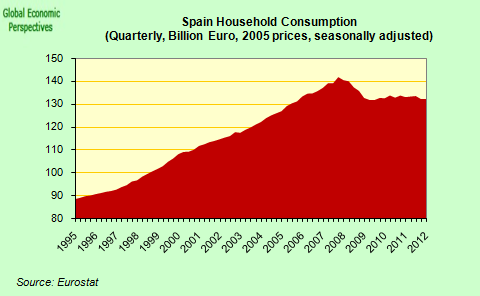 Bad debts held by Spanish banks rose to yet another 17-year high in March. 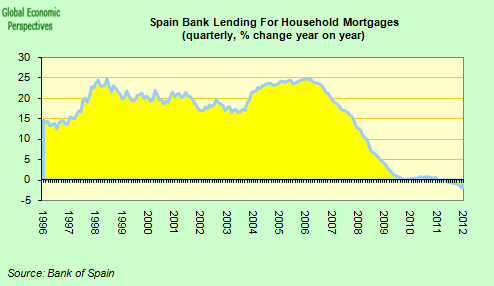 According to data from the bank of Spain, 8.37% of the loans held by banks, or EUR147.97 billion, were more than three months overdue for repayment in March, up from 8.3% in February--the highest ratio since September 1994. 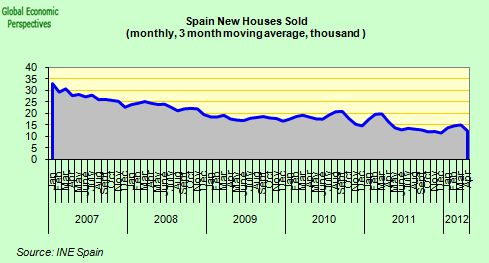 The total number of non-performing loans is now almost 10 times higher than the level reported in 2007, when Spain's decade-high property boom peaked. 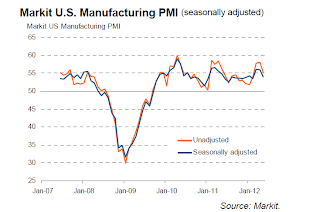 And of course, this steady increase will continue for as long as the economy is not fixed. 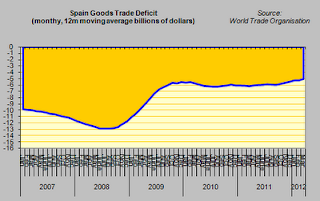 And to cap it all, the uncertainty over the future of countries like Greece and Spain is now bringing the whole global economy steadily to a halt, and this is boomeranging back on Spain, since it hits exports directly. In fact, Spain's exports have been down on an annual basis since February. Whatever name you give to the EU financial support for Spain, one thing is clear. 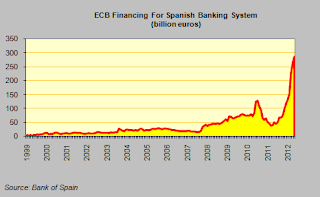 Spain alone was unable to go to the financial markets and raise the 100 billion Euros or so it needs to meet the capital requirements of its banking system for 2012/2013. The country’s leaders wanted one of the European funds (the EFSF perhaps) to inject the money directly into the banking system, but Europe’s leaders said no, it would need to be the Spanish sovereign that borrowed (via its bank reorganization fund FROB), and responsibility for repayment would lie with the Spanish state. Whatever way you call the aid Spain is now receiving from Europe it is clear that this is the beginning and not the end of what is likely to be a long process, one which will now inexorably lead to either the creation of a United States of the Euro Area, or to failure and disintegration of the Euro. There will be no middle path, so the stakes are now very high for all involved. Unfortunately Europe's leaders are still too busy thinking short term, and practicing one step at a time-ism. In a pattern that has now become so familiar since the crisis started back at the end of 2009 with the Greek deficit problems, they are so concerned about negotiating the details of how to handle the next stage that they tend to miss the bigger picture. Essentially there are three key players in the present situation - the EU in Brussels, the German government in Berlin, and the Spanish administration in Madrid. All three have probably walked away feeling satisfied they have gotten something out of this latest deal. The EU leadership in Brussels have long wanted to draw Spain in. After months of issues about number quality relating to both public finance and the financial system, they will now feel they have a firmer grip on the situation. They will also be perfectly well aware that Spain's financing needs go well beyond the 100 billion euros which has been agreed to as the current ceiling. "In the event that banks are required to recognize provisions for 2012 and 2013 already this year, the amount of capital support that the banks could require could be substantial. This is because banks would face greater difficulty to absorb the impact of required provisions in such a short period of time with anything other than excess capital over the regulatory minimum. In this scenario, and assuming no changes to minimum regulatory capital requirements of 8% or 10% of core capital plus the buffer established by the Royal Decree 2/2012, we would expect that only Banco Santander, Banco Bilbao Vizcaya Argentaria, and CaixaBank would have capital levels comfortably above the regulatory minimum. The remaining banks in the system would likely face significant challenges to remain compliant with the abovementioned minimum regulatory capital requirements, in our view "
Three points need to be made here. 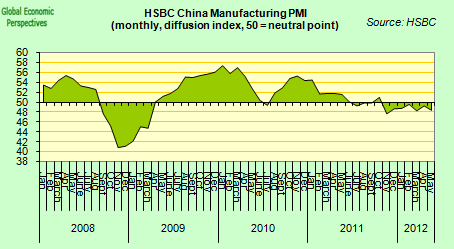 The first is that what we are talking about is provisioning against anticipated losses and writing down problematic assets over the two year 2012/13 period - if the economy doesn't recover and house prices continue to fall (both highly probable given the policy mix currently on the table) then further injections will be required over the 2014/15 period - although this is very academic, since the future of the Euro will more than likely have been decided one way or another by that point. While details of the bank rescue package and its impact on bondholders have yet to be worked out, most analysts are busy speculating that subordinated debt holders will be forced to contribute to the recapitalisation effort. But as I say any such "bail in" would involve subordinated debt holders - and in particular holders of hybrid instruments like preference shares - taking losses. The hierarchy is just like that, you can't haircut seniors before you have hit "juniors". These are the banks own customers, who were basically sold the instruments on the understanding that they were "just like deposits" and very low risk. Bank of Spain inspectors warned Minister Pedro Solbes in a letter in 2006 that these very instruments were being sold to finance high risk developer loans, but no action was taken. Far from making irresponsible investors pay this measure would penalise the very people who help keep Spain's banking system together, those small savers who forwent going for holidays on credit to Cancun,Thailand or Japan, and failed to increase their mortgages in order to buy lavish SUVs in an attempt to save for their retirement. These are the people who now face the prospect of losing their precious savings to cover the losses generated by those who did both of the above. Hence the sort of bank "bail-in" EU regulators want, is politically impossible in Spain, especially after the Bankia scandal, and Mariano Rajoy knows this only too well. 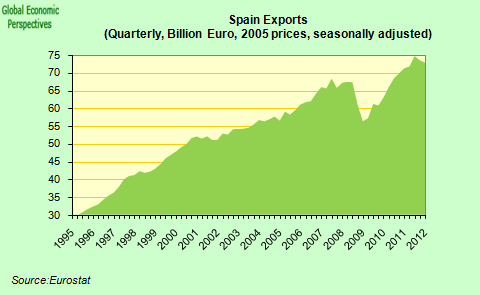 Only the Swedish path of direct nationalisation and subsequent resale is open to Spain. Unless, of course, your objective is to totally politically destabilise the country. 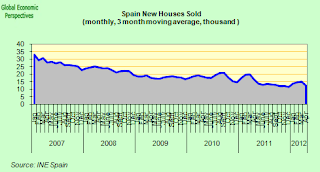 As is evident, Spain's developers who offered no guarantee for their lending beyond the property are now handing back the keys and assets as fast as they can, while individual mortgage holders who guaranteed the mortgage with their lifetime salary struggle to pay down mortgages which are often now worth twice the market value of the property they are associated with. If this manifest injustice is also followed up with a wipe out of small savers while large institutional bondholders walk away scot free, well I think the next best thing to a populist revolution is what you are likely to see. Naturally, the details of the loan conditions are still being negotiated, and will be become clearer as time passes. At this point I would simply emphasise three things. Firstly the money the country has asked for is not a problem fixer. It is a stopgap to enable Spain's banks to maintain capital levels as losses are crystalised over the next two years. In this sense the money addresses one of the symptoms of the problem, but not the root of the problem itself. 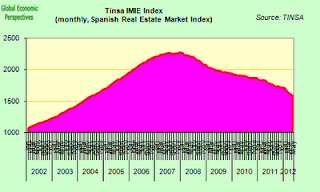 What we can now certainly say is that Spain's banks will be well capitalised through to the end of 2013. But credit isn't flowing to the private sector in Spain, and these funds will do little to change that situation. So this is the second point I would make, to get credit moving again a necessary (but not sufficient) condition will be deleveraging the banks - which have a loan to deposit ratio of something over 175% at present - and achieving this deleveraging most certainly means taking some of the problematic property assets off the balance sheets, to be "ring fenced" and deposited in a Nama style bad bank, for example, following the line of the reports the Spanish economy Ministry were recently reported to be studying. Doing this will need finance even after these troubled assets have been written down - it is hard to put a number till we know the extent of the write down, but 200 billion Euros would be a conservative estimate, so furbishing that finance may well be the next stage in the bailout. Then, thirdly, we have the sovereign funding issues. As is well known foreign investors have been exiting their Spanish debt holdings, and there is no reason to imagine this posture will change. Spain's banks have been filling the gap by using LTRO liquidity to buy government debt, but there has to be a limit to this process, otherwise the banks will be as bust with the bonds as they are with the property. In fact Spain's bank dependency on the ECB is growing with every passing month, and hit 288 billion Euros in May. But the inescapable error is in failing to inject the money directly into the banks as equity, routing the money instead through the Spanish government. By doing so, the European authorities are intensifying the “doom loop”, as one analyst puts it. That link was already redoubled when the European Central Bank’s December and February longer-term refinancing operation led to Spanish banks, far more than most, recycling the cash into sovereign bonds – buying €83bn since December. Spanish banks account for a more than a third of Spanish sovereign bond ownership, nearly double the tally five years ago. The increase has helped offset international investors’ dimming faith in Madrid – making Spain’s banks a valuable stabilising force in the country’s economy. Without them, Madrid would have little hope of financing itself. But it is a delicate and dangerous balancing act, for the banks and the country. And this bailout could be the tipping point. As well as cementing the government’s vulnerability to the banks as it transmits the bailout money to the weakest operators in the sector, there could be yet another layering of sovereign investment going the other way. So financing Spain's bond redemption needs between now and the end of 2015 – something like 200 billion Euros - plus the deficit (another 100 billion Euros, at least) will be the third bailout stage. Royal Bank of Scotland analysts headed by Alberto Gallo put the full ESM package size needed to get Spain through to the end of 2015 at between €370billion and 455billion. This seems a perfectly reasonable estimate to me. As I said, removing property related assets from the balance sheets is a necessary but not a sufficient condition for getting credit flowing. The other condition is having solvent demand, which means getting the economy moving again, and this means addressing the competitiveness issue. If the economy isn't turned round then property prices will continue to fall, and the banks will continue to have losses, which means at the start of 2014 we will need another round of capitalization just to cover for the losses to be anticipated in 2014/2015, and so on. 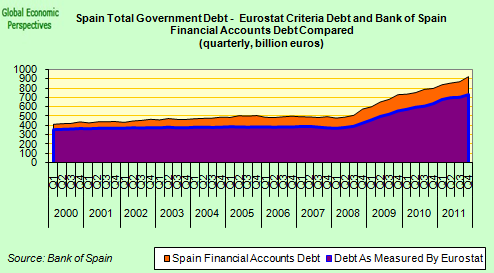 As I have been saying, Spain's debt problem was primarily one of private debt. In 2007, when the crisis started, Spanish sovereign debt was a mere 36% of GDP. This year, once the 100 Billion Euro loan for the banking system has been accounted for it will probably be very near to 90%. 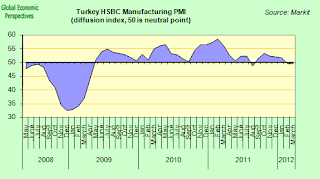 At the very latest it will pass through the 100% level in 2014 (that is to say, assuming there are no more "unexpected losses" to be added in the meantime - for a full account of the background to all this, see my Homeric Similes and Spanish Debt post). And it won't stop there. As long as the economy isn't fixed and returned to growth the level of public indebtedness will continue to grow, as private debt steadily gets written down and shuffled across to the public account. If the country moves to budget deficit zero, then if the competitiveness problem remains the economy will simply contract, and probably contract and deflate, which will mean the ratio will rise even without more deficits, as we are seeing right now in Italy. But we are getting ahead of ourselves here since we still don't know how Spain and the Euro are going to get through to the end of 2012, let alone where we will be in 2014. 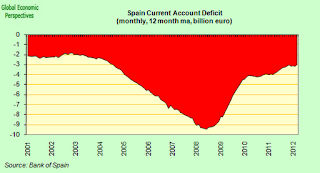 Obviously accepting that Spain needs a full bailout is going to be hard for the German leadership, but the alternative of Spain Euro exit and default will probably prove even less appetising for them. 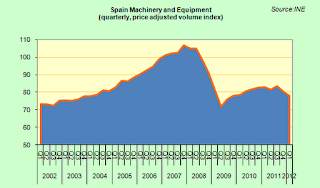 After several years of neglect and refusing to face up to issues, talk is in the air of internal devaluation to address the loss of competitiveness Spain suffered during the boom, but so far nothing has been done. Maybe this is the next reform Brussels should be discussing with Madrid, the most recent IMF proposals certainly point in this direction . 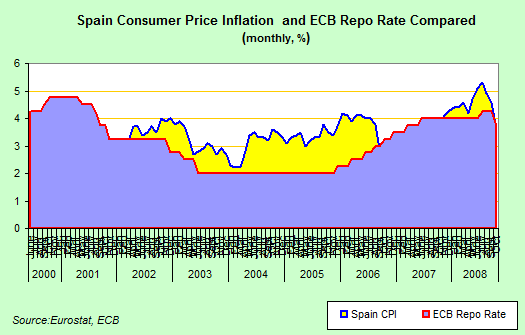 Beyond all the talking, if Europe's leaders really do want to save the Euro, and not have Spain go back to the Peseta to devalue, then one day or another this internal devaluation will have to happen or the Spanish economy will simply never recover. 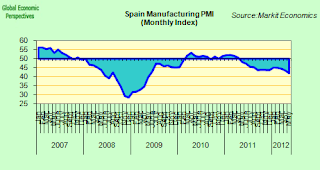 If it doesn’t recover then the issue will not be simply saving Spain but rather how to save the global economy when the Euro then finally falls apart. Time is now running out, as Christine Lagarde recently reminded us. I think she and Soros are being a little unfair - they have till Christmas.